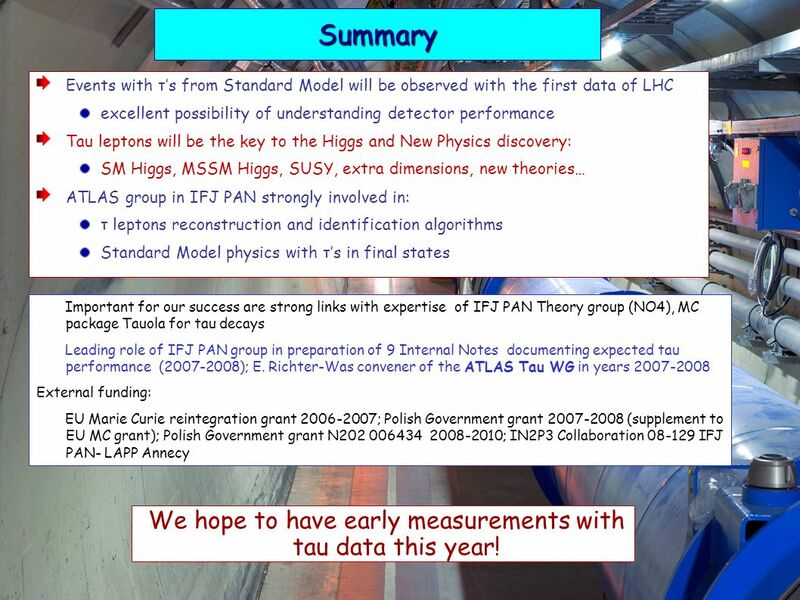 10 We hope to have early measurements with tau data this year! 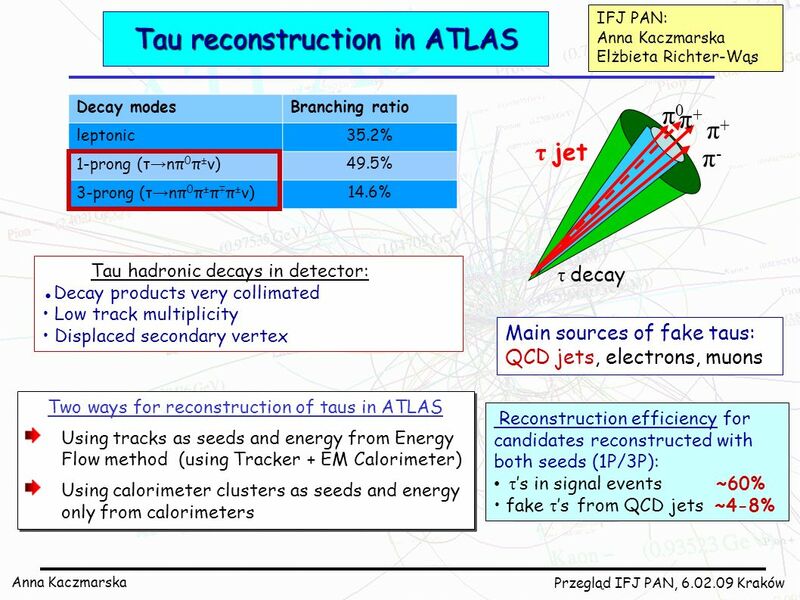 Summary Events with τ’s from Standard Model will be observed with the first data of LHC excellent possibility of understanding detector performance Tau leptons will be the key to the Higgs and New Physics discovery: SM Higgs, MSSM Higgs, SUSY, extra dimensions, new theories… ATLAS group in IFJ PAN strongly involved in: τ leptons reconstruction and identification algorithms Standard Model physics with τ’s in final states Important for our success are strong links with expertise of IFJ PAN Theory group (NO4), MC package Tauola for tau decays Leading role of IFJ PAN group in preparation of 9 Internal Notes documenting expected tau performance ( ); E. Richter-Was convener of the ATLAS Tau WG in years External funding: EU Marie Curie reintegration grant ; Polish Government grant (supplement to EU MC grant); Polish Government grant N ; IN2P3 Collaboration IFJ PAN- LAPP Annecy We hope to have early measurements with tau data this year! 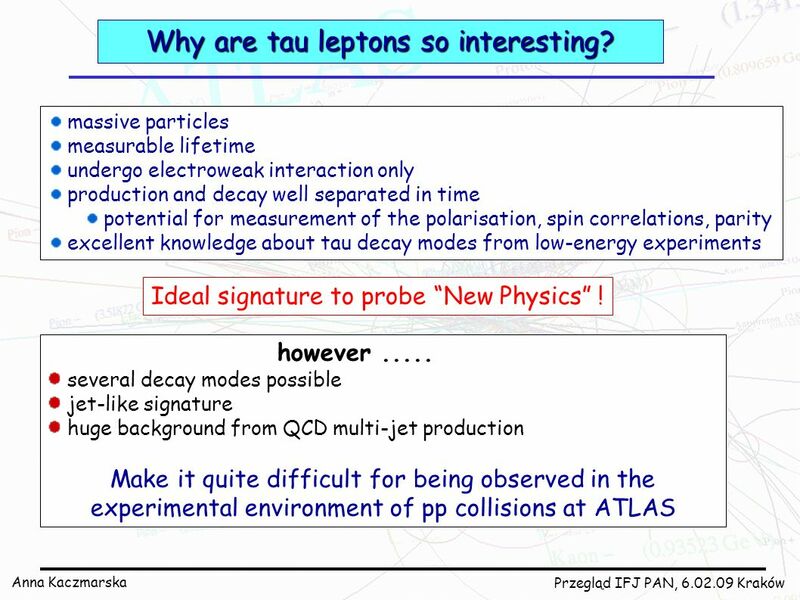 12 Why are tau leptons so interesting? 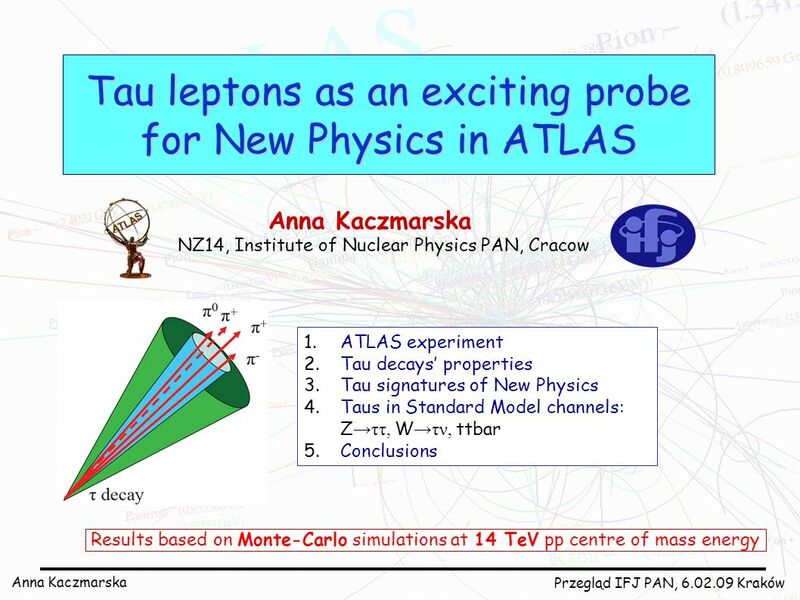 Download ppt "Tau leptons as an exciting probe for New Physics in ATLAS"
1 AMY Detector (eighties) A rather compact detector. 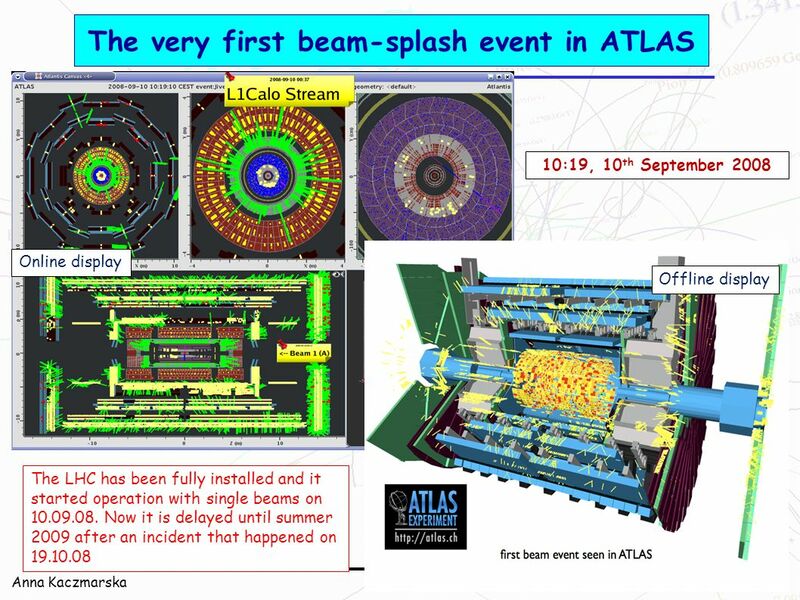 Experimental Particle Physics PHYS6011 Joel Goldstein, RAL 1.Introduction & Accelerators 2.Particle Interactions and Detectors (2) 3.Collider Experiments. 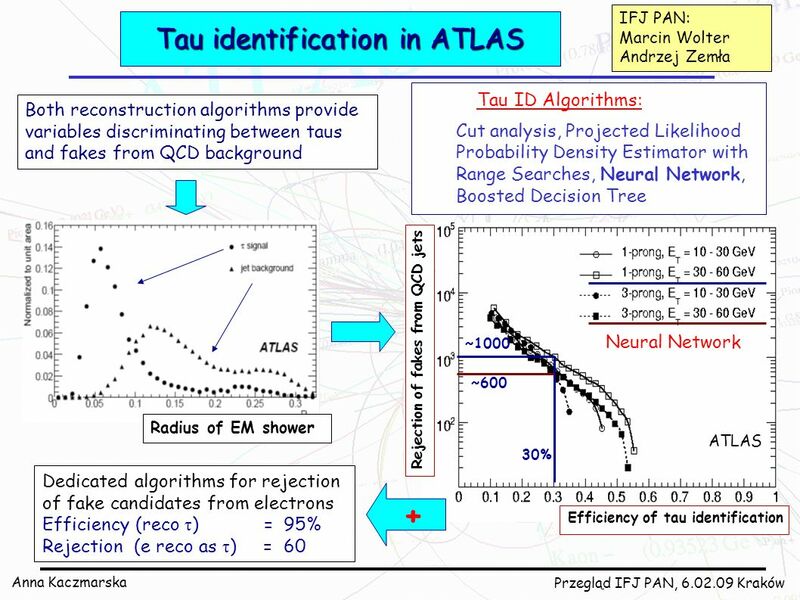 Some recent results from CDF David Stuart U.C. Santa Barbara October 24, 2005. 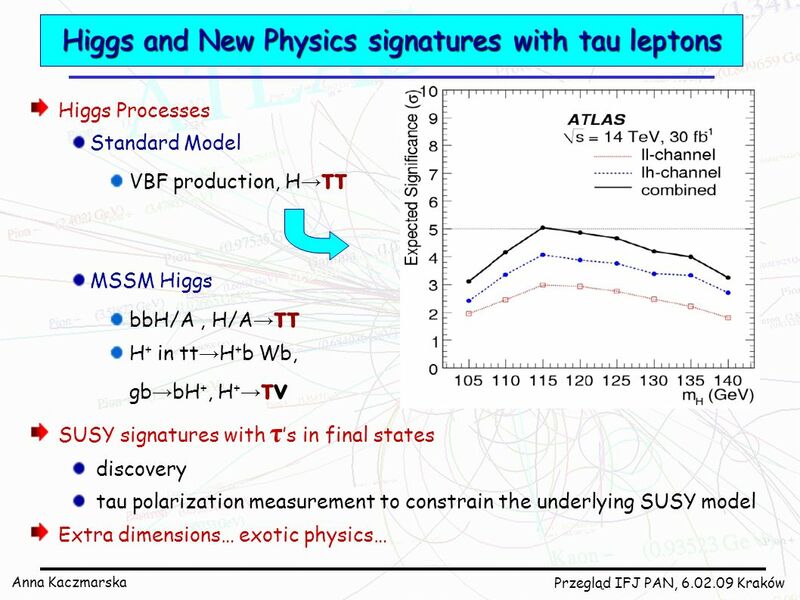 Exotica: Overview of the Searches for New Vector Boson High Mass States Cory Fantasia PY898 03/30/09. 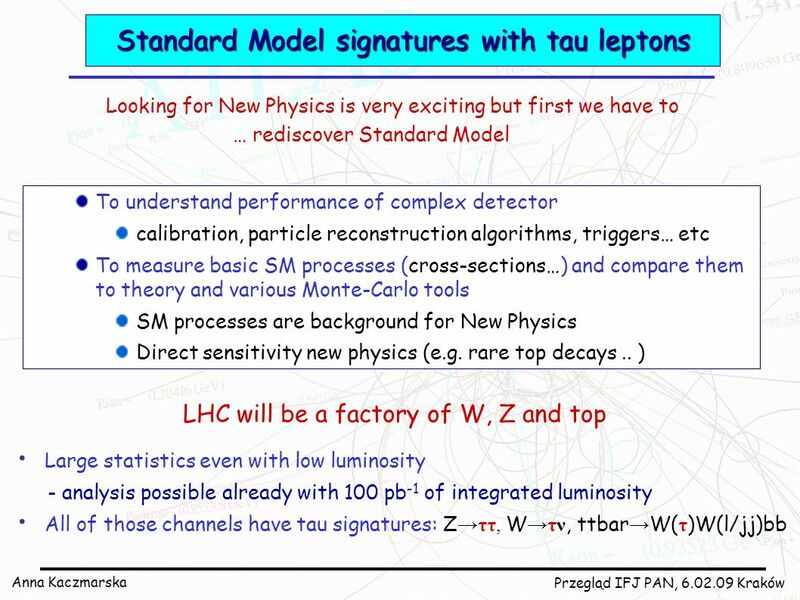 Freiburg Seminar, Sept Sascha Caron Finding the Higgs or something else ideas to improve the discovery ideas to improve the discovery potential at. 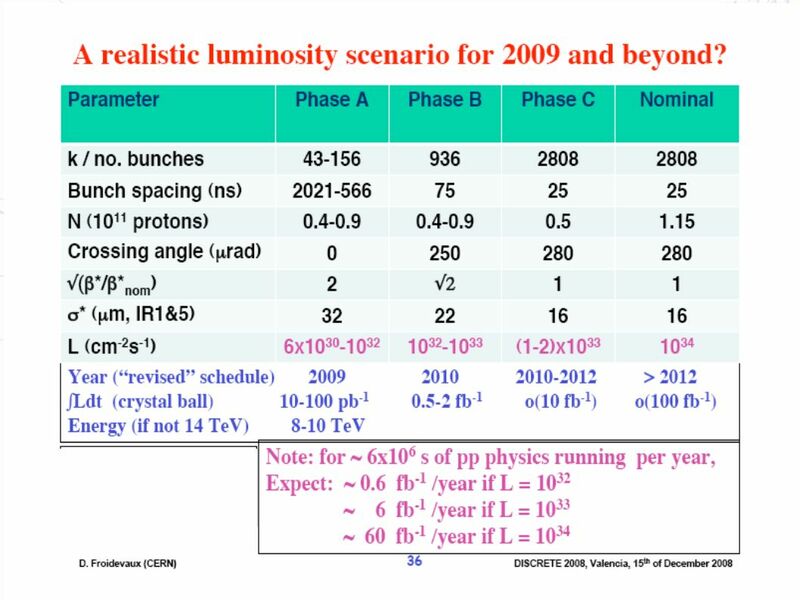 Peter Schleper, Hamburg University SUSY07 Non-SUSY Searches at HERA 1 Non-SUSY Searches at HERA Peter Schleper Hamburg University SUSY07 July 27, 2007. 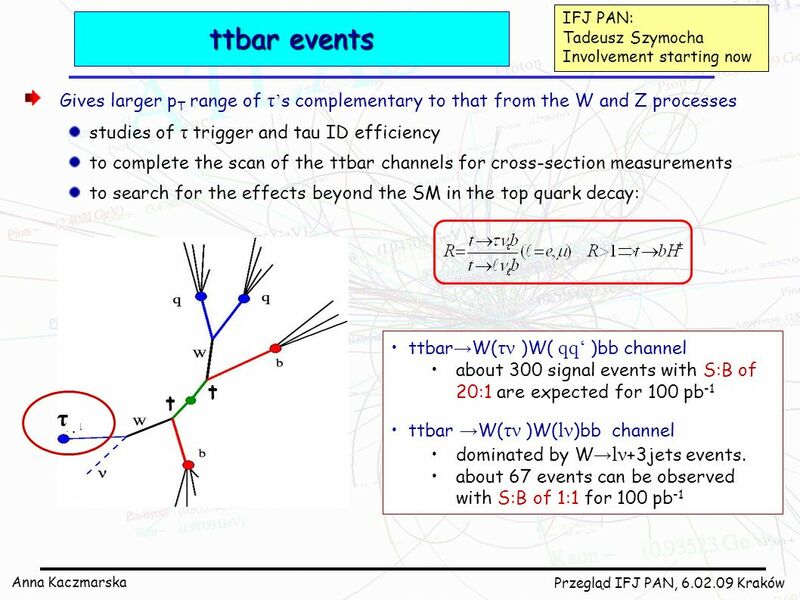 Tau dilepton channel The data sample used in this analysis comprises high-p T inclusive lepton events that contain an electron with E T >20 GeV or a muon. 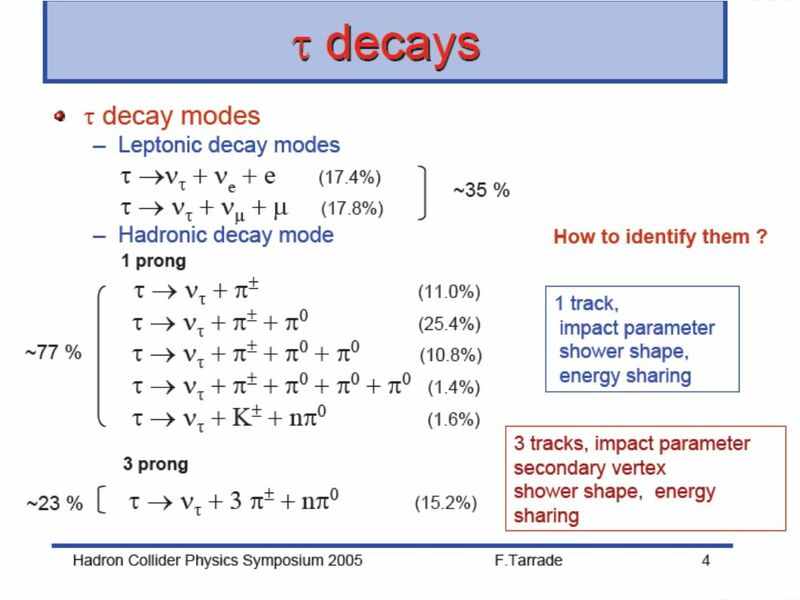 Top Physics at the Tevatron Mike Arov (Louisiana Tech University) for D0 and CDF Collaborations 1. 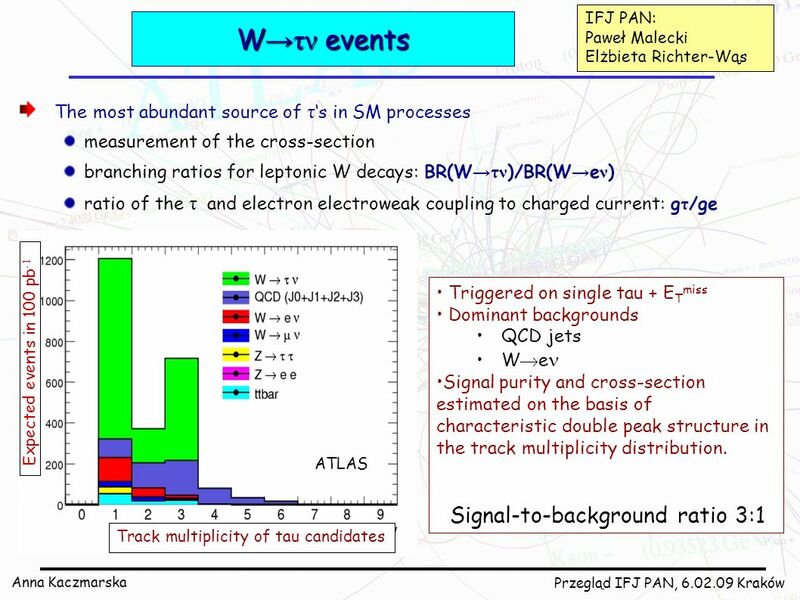 Introduction to Single-Top Single-Top Cross Section Measurements at ATLAS Patrick Ryan (Michigan State University) The measurement. 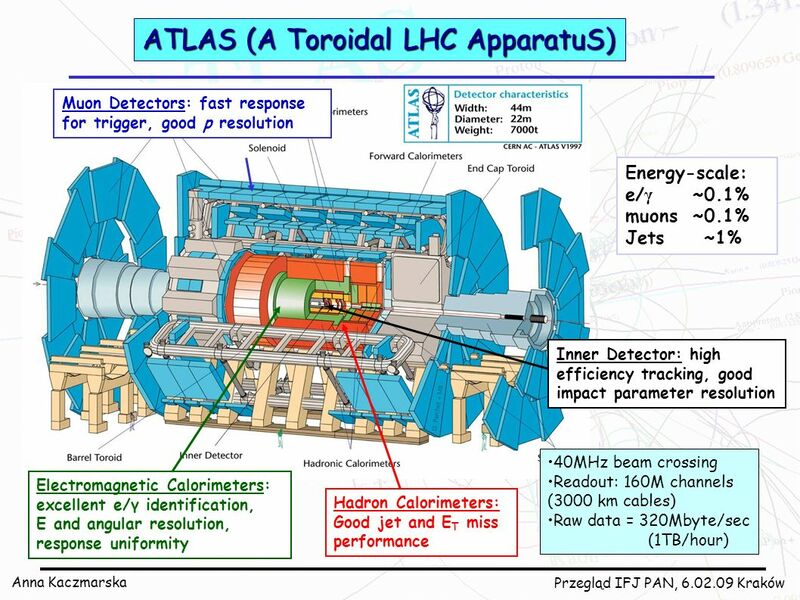 1 Hadronic In-Situ Calibration of the ATLAS Detector N. Davidson The University of Melbourne. 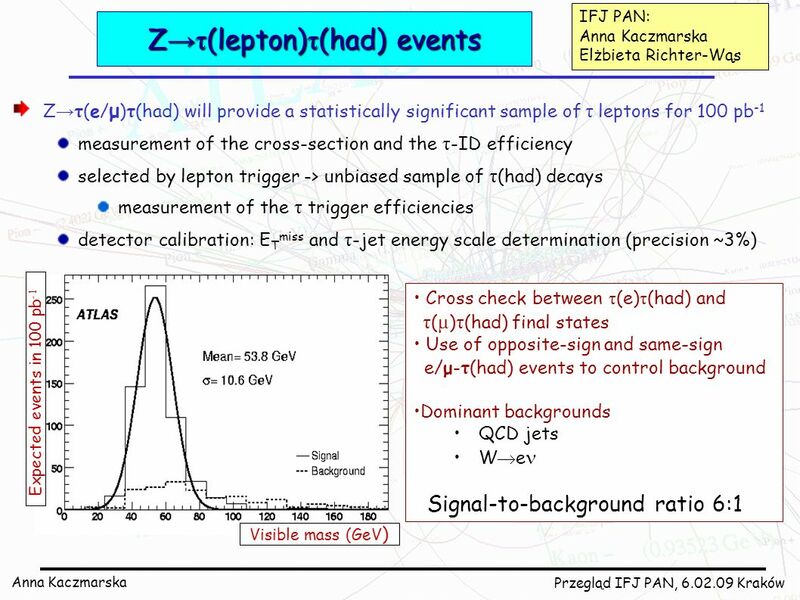 17th Sep JapanTau04 - International workshop on Tau Lepton Physics1 Discovery Potential of the SM Higgs at the LHC Junichi Tanaka ICEPP, University. 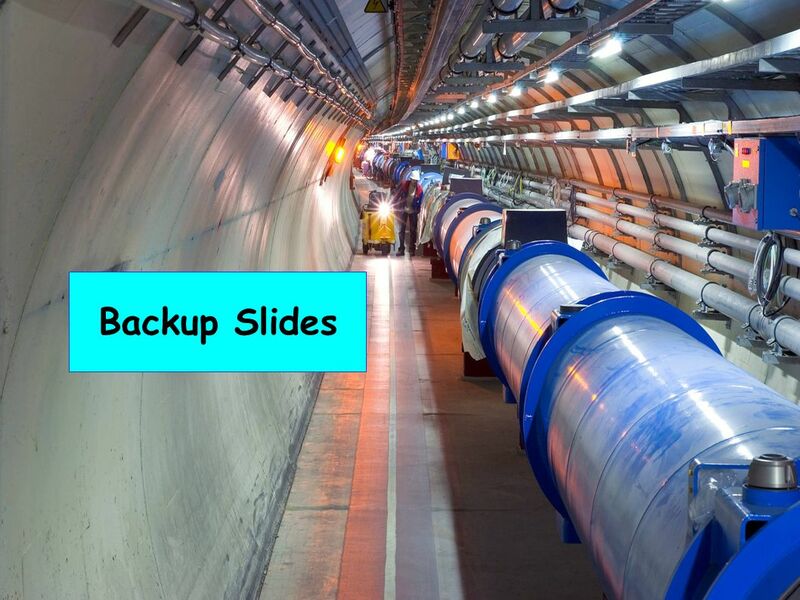 By Henry Brown Henry Brown, LHCb, IOP 10/04/13 1.